Questions still abound about the sustainability of cryptocurrency mining and its impact on energy consumption. Per figures from Digiconomist, Bitcoin consumes 53.28TWh annually (about as much as Bangladesh consumes in a year) and about 262KWh per transaction. For some context, that could power more than 3,000 US households a year. Ethereum, the world’s second largest cryptocurrency, is a little easier on electricity by comparison but still consumes 15.22TWh a year at 55KWh per transaction on average. Needless to say, this leaves behind a hefty carbon footprint and casts doubt on the future of cryptocurrency. This all fits into wider problems that the world faces: a shortfall in energy availability and the scale of waste we produce every day. As a result, the industry is increasingly looking at waste to energy solutions. 4NEW, an energy startup from London, is turning to the blockchain for its own solution for energy purchasing, waste reduction, and offsetting the energy burdens of mining. While there are many startups using blockchain technology for buying and selling energy as an exchange, 4NEW is not an exchange. Rather, it is a producer of energy. It is behind the world’s first waste to energy power plant that has been integrated with the blockchain. Electricity is intangible but has relied on physical infrastructure for decades. Blockchain, the company claims, provides the technology and infrastructure for transacting energy that can be scaled globally. 4NEW’s blockchain will be used for buying and selling energy that’s generated from waste power plants. This energy can then be sold to the national grid or used for running 4NEW’s cryptocurrency mining rigs on behalf of users. 4NEW plans to operate its own power plants for generating energy from waste. Waste to energy power plants collect waste products and break them down into water and organic materials to generate energy. The waste is broken down through incineration and gasification, which converts the waste material into methane, carbon monoxide, and hydrogen. The company says that this is done in compliance with EU emissions standards. This energy can then be sold off to the national grid or used to create by-products like fertilizer for sale for additional revenue. This energy can be also applied to mining operations. Typically, energy is sold at $0.15 per kilowatt, remaining relatively stable for years, but 4NEW claims that the growing burden of crypto mining costs could drive this price up. To counteract that, 4NEW is building its own blockchain-based platform for managing these energy transactions. It will be enabled by 4NEW’s dedicated cryptocurrency, KWATT. 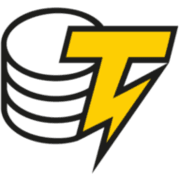 It is currently holding an initial coin offering for the new coin. According to 4NEW, the KWATT is the first ever cryptocurrency dedicated to energy use that tokenizes electricity. While the KWATT coins will be used for buying and selling energy, what other purpose will the blockchain serve? It will provide a decentralized ledger that records all energy sales carried out using the cryptocurrency. This provides an audit trail for the amount of energy produced to address any disputes. The value of the cryptocurrency is pegged to one kilowatt hour of energy, which as mentioned is worth around $0.15. The coin is an ERC20 token based on Ethereum smart contracts. 4NEW’s revenue will be dependent on money made from processing waste and the sale of by-products but the ICO, which has made $41.5 million as of this writing, will fund the initial costs. There will be 300 million coins generated in the ICO. Any unsold coins will be burned. Beyond that, the coin will allow for the operating of the infrastructure for users that will standardize transaction fees. Long term, the company envisions the KWATT as being the standard for energy and waste transactions. 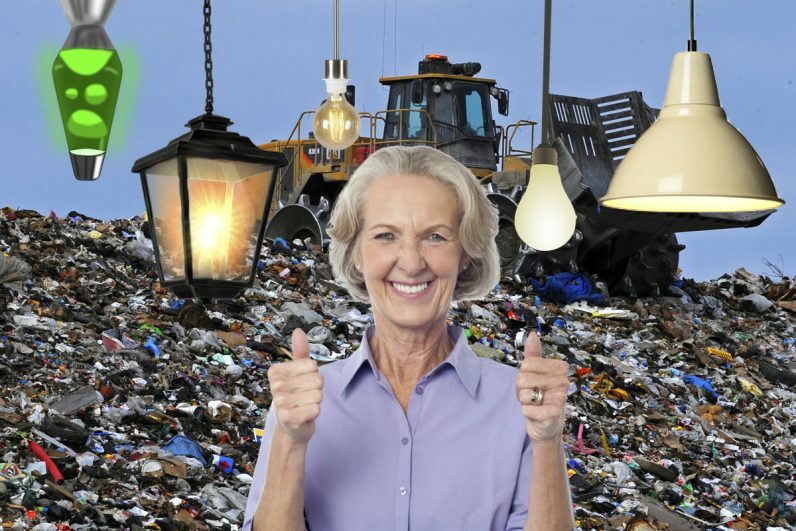 The company claims that the business model of selling waste collection services and by-products will allow it to break even and thus generate energy for free. The energy generated by 4NEW will either be sold to a national grid or used on behalf of coin holders for mining cryptocurrency. The pre-sale for the coin kicked off in October of last year with the full ICO going live in January. The sale closes on March 31. In the second quarter of this year, 4NEW will initiate its first mining rigs at its first power plant. It is using Antminer equipment and rigs will be set up in shipping containers for easy transportation with each container holding about 6,000 miners. By owning its own plants, 4NEW owns the energy outright unlike other companies that may rely on third parties or intermediaries to access plants. The company plans to have three in total with an output of around one billion kilowatts per annum. The second plant is slated for operation in 2019.